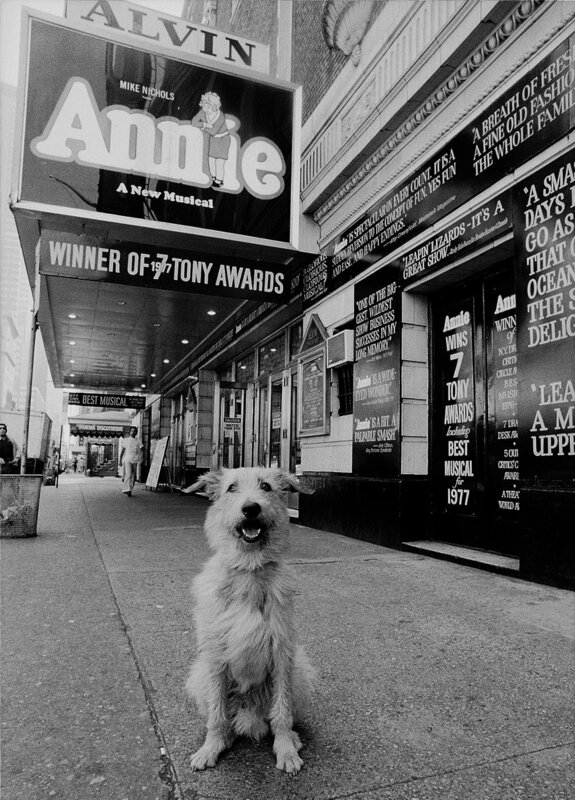 "Sandy" the canine star of the hit Broadway show "Annie." Sandy clay model is built on a skeletal wire frame for strength. Wet toweling protects the clay model during the mold process. The model is covered in clay as a separator. Shims are implanted to allow the plaster and rubber mold encasement to be easily removed. Plaster is applied to the resulting form. Removing the plaster shell off the model to expose the filler materials. Filler material to be removed. Liquid rubber is mixed and poured into two spouts filling the void as it forms around the clay model. Total removal of plaster cast. Removing the rubber from the clay model. Finished. Ready for the wax application. Wax was painted onto the rubber imprint and cooled. The artist does finishing details using heated metal tools. Molten bronze being poured into prepared ceramic shell mold. A support bar is inserted in the base. Applying the patina or color. Chemicals are painted on using a blowtorch that heats the metal. Ready to go home !